I work 17 hours a week and go to college for 15 credit hours this semester. I also have to do hours of homework, food shopping, sleep, clean, and make time for my friends and boyfriend. I’m a very busy young lady. The concept of relaxing never really hit me until very recently. I don’t like to relax. I don’t want to relax. I could be doing “better things with my time- more productive things…” But honey, taking care of you and your mental/emotional/physical well-being is productive. You must take care of yourself before anything else. And once I start relaxing, I feel way better. 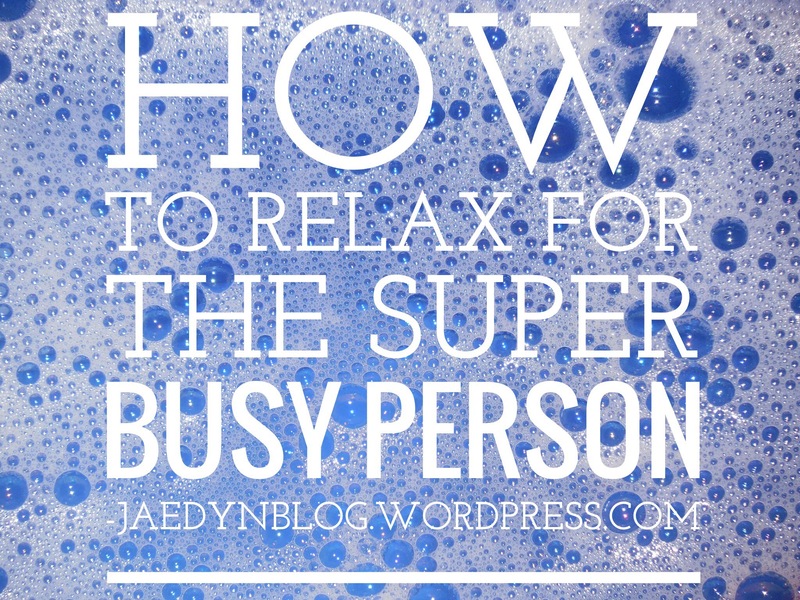 With my newfound desire for relaxation, I decided to share a list of how I relax with you all. I make time for yoga to focus on mindful breathing. It really helps during the day when you get overwhelmed. I will hug/ cuddle someone. I saw my good friend Amanda one day and walked up to her and hugged her. I’ll cuddle my boyfriend all the time. You know why? Because it’s sooooo cathardic. Sometimes my siblings will rub my feet for a fee, but it’s worth it, especially if you live on a college campus and you’re constantly walking around. Alright, those are some ways I relax! As people comment, I’ll add on to the post so it can become extremely helpful! #7!! Thanks for all the ideas!